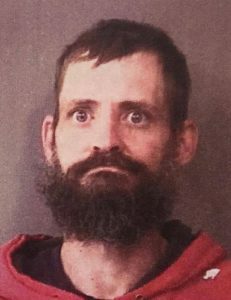 KOSCIUSKO — A Warsaw man was arrested after accepting payment for a home improvement project and failing to complete the work. Jonathan Dale Kuta, 41, 2605 E. Center St., Warsaw; also showing an address of 900 Anchorage Road 101, Warsaw, is being charged with home improvement fraud, a level 5 felony; and theft, a level 6 felony. On Feb. 26, an officer spoke with a female subject regarding a home improvement fraud. The female told the officer that on Feb. 10, she entered into a home improvement contract with a male subject, identified as Kuta, doing business as Grip Tight Roofing. The contract totaled the work for an addition to a residence at $22,000. According to the affidavit of probable cause, the payments for the addition were to be paid in three parts. The contract said $8,000 would be due at the start of the job, with a second payment of $8,000 due when the addition was framed up and the remaining portion to be paid upon completion of the job. The female said Kuta gave her a materials list and she purchased the materials for the project. On Feb. 20, the female wrote Kuta a check for $8,000. On Feb. 21, Kuta came to the residence, removed a bush, and then left the residence. The female said she has been unable to contact Kuta since. On Feb. 28, the female contacted a relative of Kuta’s, who offered to finish the project. On March 4, the female said Kuta’s relative advised he would not honor Kuta’s commitment. The relative said Kuta had done this before by using his company’s name. Kuta was booked in the Kosciusko County Jail on March 22, with an $11,000 surety and cash bond.